Looking for paintball stores in MN or fields that also have a great atmosphere for providing recreation for your family and friends? Paintball stores in MN and paintball fields provide the perfect place to plan your party. You will find the proper equipment in several locations in Minneapolis, which make it convenient for people all over the state of Minnesota to enjoy playing paintball. Air Assault has Minnesota?s largest full service pro-shop on-site carrying all the best paintball brands. We are conveniently located next to Minneapolis in St. Paul, MN. 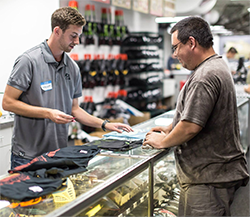 Our paintball fields and paintball stores in MN supply locations for your players with enthusiasm to the level exactly where organizations can be competitive and showcase their new-developed and learned expertise. Some gamers prefer to focus on brilliance, other folks really enjoy the fantastic outdoors, and a lot of enjoy the levels of competition. This offers the players a beginning practice and chance in building new skills and endurance for taking part in this game. Venues and paintball shops in MN like our Twin Cities areas supply the athletes many different areas to go to store enjoy you inside the great outside the house. It’s imperative and important that you may have a shelter to guard yourself against oncoming speedballs which may just skip the head. Safety items might be the perfect answer to your condition, and you also, as being a player, have a number of locations to go to get ready; and many different venues and large-available fields. Private play is available for groups and is first come first serve. Advanced reservations so please call in advanced to reserve your spot. Walk-on play is also available for those looking to join in on the action without a big group. Please give us a call at 651-222-0300 with any questions you may have or to book your private group spot.